With my love of Yotam Ottolenghi’s DVD Mediterranean Feast & Jerusalem on a Plate and the amazing hummus that is produced in Jerusalem, I just had to try and morph this staple into something different, so here goes ……………. Parathas, Socca Bread or Flatbreads for dipping – or some nice aromatic crisps for ‘dipping’. Top and tail your beetroot, place into a deep saucepan and cover with cold water. Add a little salt and place over a high flame and bring to the boil. Reduce to a simmer and cover with a lid and cook for approx’ one hour until you can pierce the beetroot easily with a small sharp knife. Remove from the heat. Drain and cover with cold water and ice cubes. Once cold, you should be able to easily remove the skin with your fingers. 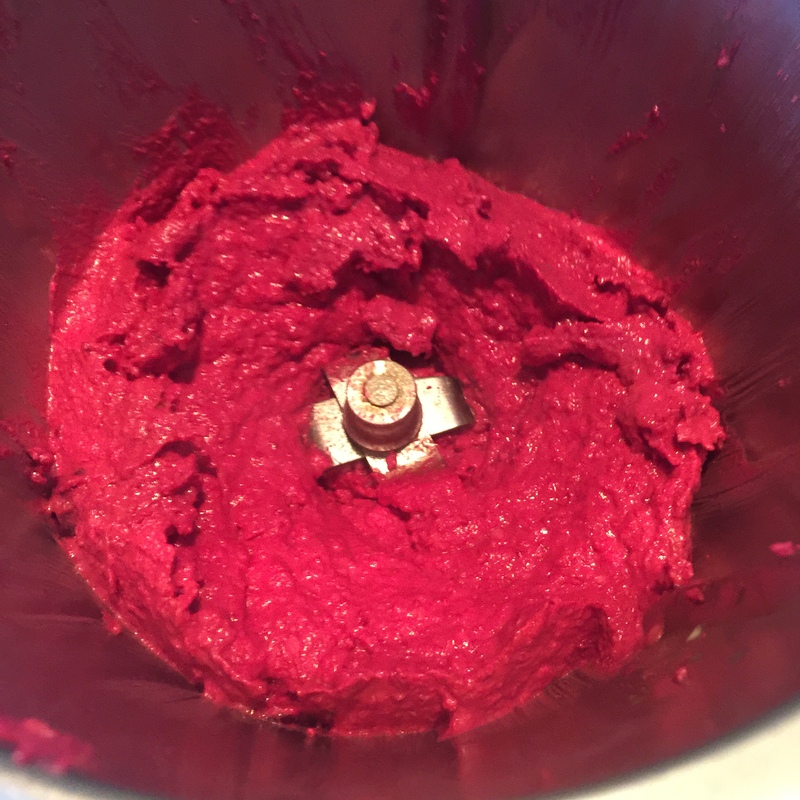 Cut 250g of the beetroot into rough chunks, then place all the ingredients, except the coriander, into your Thermomix bowl, cover with lid and MC and process for 5 seconds/speed 5. Scrape down and process again until you have a smooth mixture. 3. 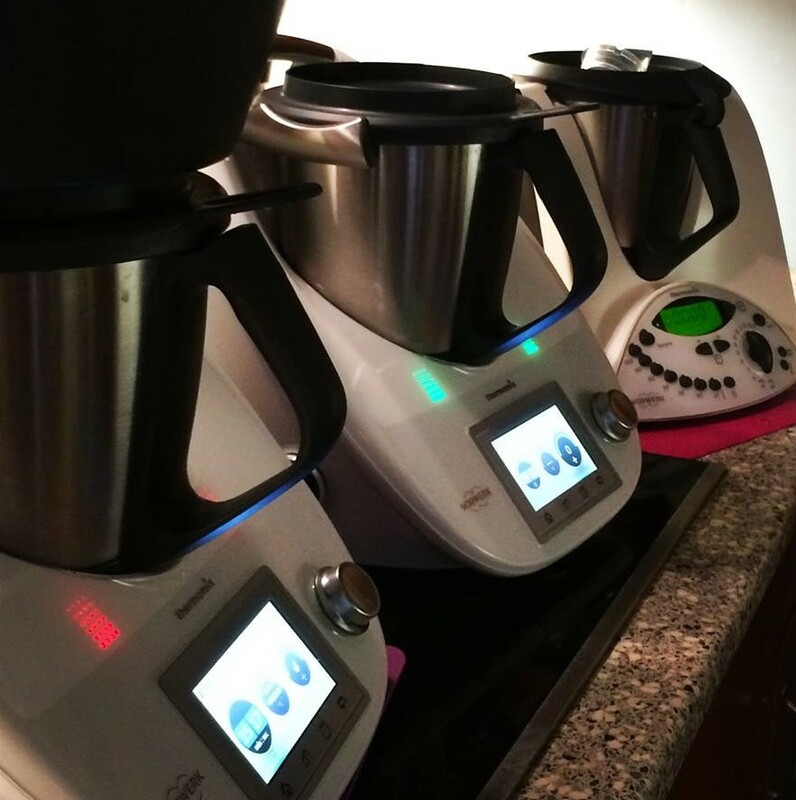 Turn out into a bowl, cover and refrigerate until ready to serve. 4. Turn out into serving bowls, and gently fold in or sprinkle over the chopped fresh coriander. 5. Serve with Parathas, Socca Bread or Flatbreads for dipping. This also works really well with Spicy & Aromatic Curry Crisps (Morrisons). 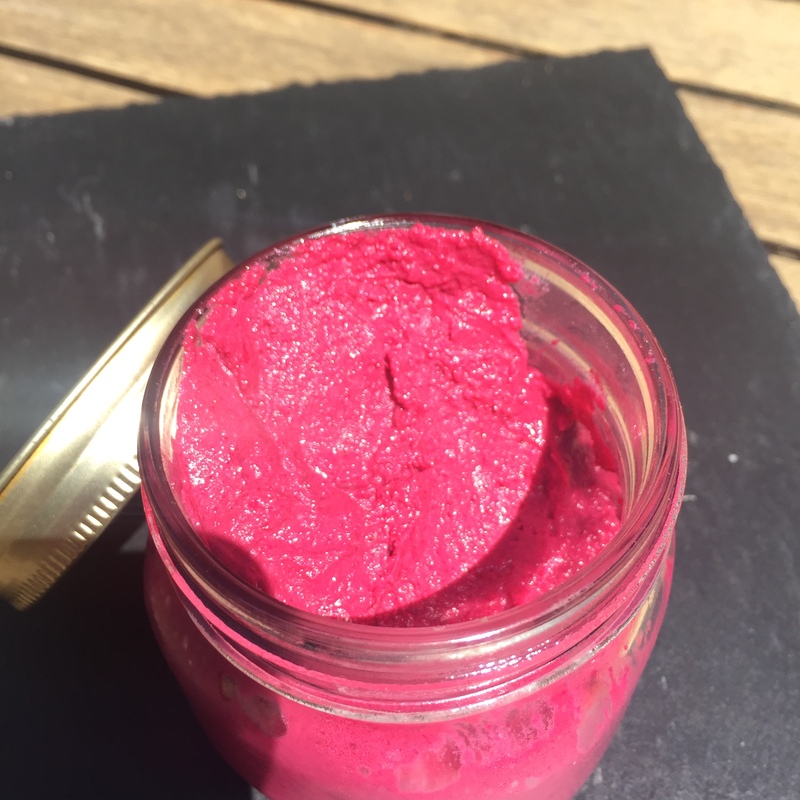 To give this hummus a bit of additional texture, cut the remaining beetroot into a fine dice (brunoise) and fold into the mixture at stage 3. If not doing this, then use 250g of beetroot at Stage 2. To give this a really authentic Eastern Mediterranean feel, fold in a little finely chopped preserved lemon before you serve. This is so typical of the sort of hummus dish you would find in Israel, although you are unlikely to find many beetroots there!!! !